If you thought Etsy, the e-commerce website for handmade and vintage items, was just tie-dyed T-shirts and bead necklaces, you should take another look — especially if you are a woodworker. 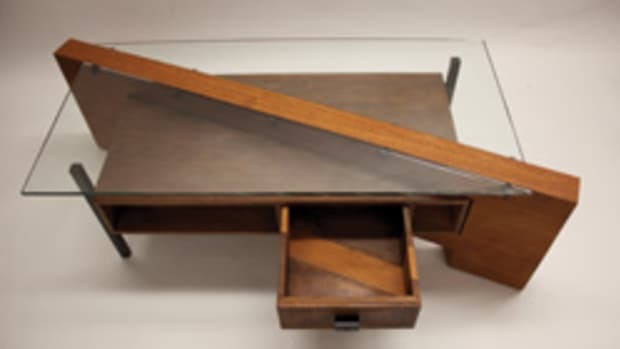 Adam Brown, press manager at Etsy, reports that “there are currently almost 18,000 items for sale in the furniture category.” And they are not schlock, unless you consider $15,000 tables and high boys junk. The range in prices is large as are the variety of items. 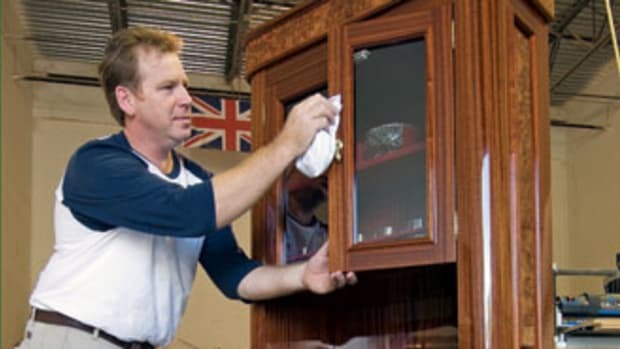 And, yes, you will find recycled packing crate furniture, but the emphasis seems clearly, by numbers alone, to be on mid-range and high-end pieces of furniture, cabinetry and room redesigns. Etsy (www.etsy.com) claims hundreds of thousands of sellers of all its items, and claims even more registered buyers are on the site looking for a unique gift. In fact, in June, the site reported 988,956,704 page views. That’s a lot of looking. And a lot of buying. The site sold 1,913,151 items in June to the tune of $38.4 million. 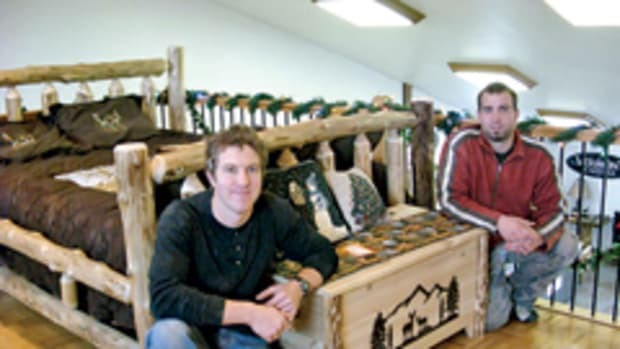 Maybe this is the place for professional woodworkers to show their handmade pieces of furniture, beds, tables, chairs and cabinetry to the world. Adam Brown of Etsy says that the amount of traffic on Etsy, “about 25 million unique visitors a month,” is a good reason alone for a woodworker to join, but he also points out that there are helpful hints and live online workshops in the Seller Handbook section of the site’s blog and in the Community section that offer advice on how to sell your products on Etsy. As of this writing, Chicone had just sold a piece on Etsy. It was a child’s sack-back Windsor chair that had been listed on the site for $525. One can easily view the sales of works by other woodworkers on the site. Even though the site does not reveal the sales price, it’s fairly easy to figure the going price by looking at other items still for sale at a woodworker’s storefront. Since opening his Etsy store, Chicone reports that a number of pieces of his work have been featured on community and designer blogs, websites, and in national and international press publications. This marketing philosophy works on the principle that you never know which “exposure” is going to make the sale, so your task is to get as much exposure as possible. Unlike social media, which Chicone also uses, Etsy not only gives you exposure, but provides the buyer with the apparatus to buy that unique, handmade gift right there and then. As Chicone says, “all of my products are custom pieces,” and since most woodworkers practice their trade in a similar fashion, Etsy does seems to offer a good match. 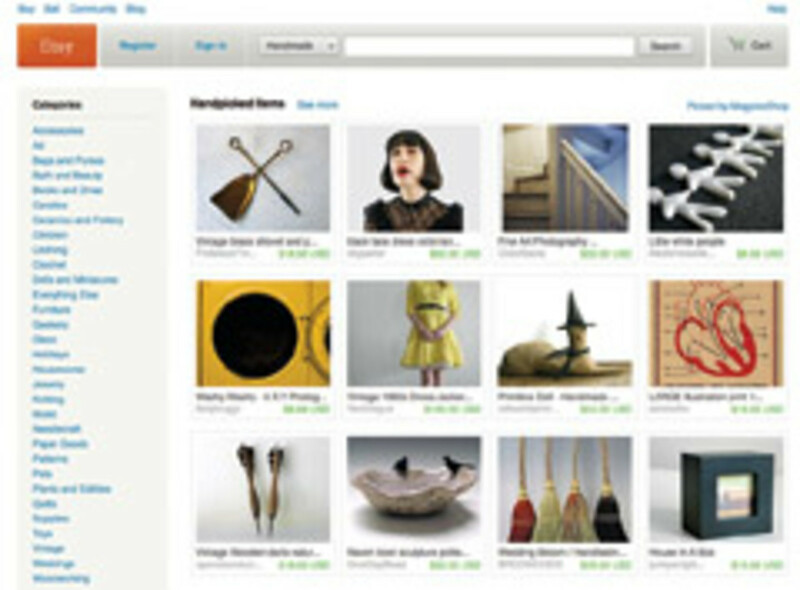 Adam Brown also adds that Etsy “is not an auction format. All prices are set by the seller.” He notes as well that buyers can make custom request of a woodworker by using a link in the seller’s storefront. Etsy charges 20 cents for each item you list. They make money by collecting a 3.5 percent sales fee. They do not include shipping costs in their fee. In other words, if you sell a $1,000 chest-of-drawers, Etsy collects $35. The selling sequence is pretty simple. You list the item. A buyer likes the item and pays you directly by one of several online payment methods. You ship the item to the customer. Etsy bills you every month for the fees that you owe. Etsy also guarantees that all billing information, or sensitive data, is encrypted to ensure safety and privacy. 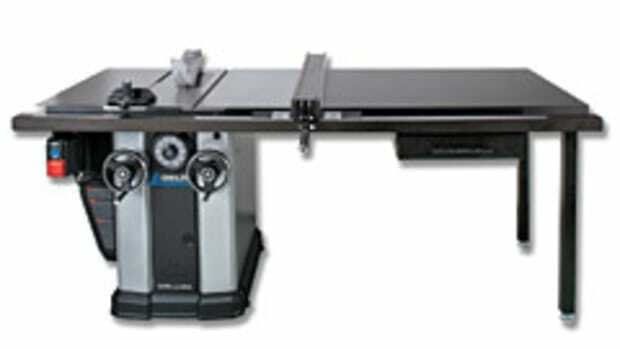 As professional woodworkers, making our product is the easy part; marketing and selling it is the hard part.